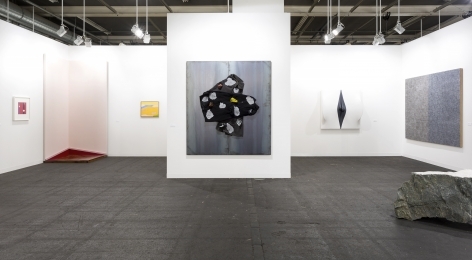 Galerie Lelong is pleased to participate in Art Basel with a selection of works by Etel Adnan, McArthur Binion, Luciano Fabro, Günther Förg, David Hockney, Jannis Kounellis, Cildo Meireles, Hélio Oiticica, Jaume Plensa, Zilia Sánchez, Carolee Schneemann, Sean Scully, Kiki Smith, Antoni Tàpies, and Krzysztof Wodiczko. Highlights include sculptures by Arte Povera pioneer Luciano Fabro, Spanish sculptor Jaume Plensa, and multidisciplinary artist Kiki Smith. 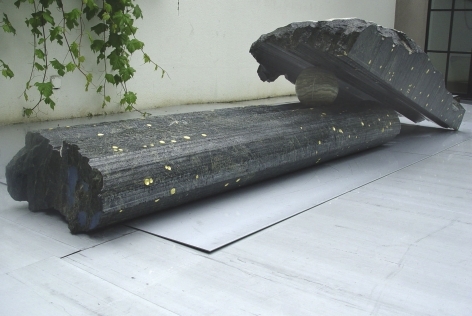 Inverno, one of Fabro’s final sculptures before his death in 2007, contrasts metaphorical space with physical reality to achieve a superb manifestation of concrete poetry. 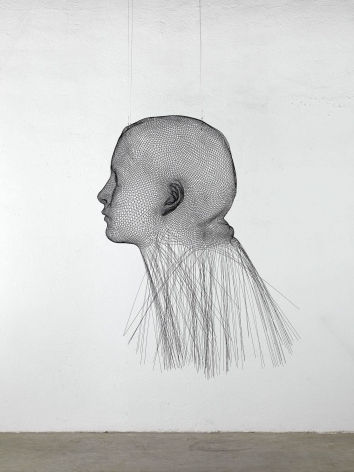 Plensa’s wire mesh sculpture, Invisible Laura (2016), recently on view in the artist’s solo exhibition at the Max Ernst Museum Brühl of the LVR, Germany, continues Plensa’s ongoing exploration into optics and perspective and explores themes of introspective spirituality and beauty. 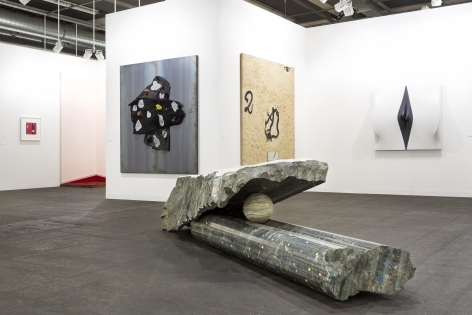 Smith, whose work is currently on view at the Venice Biennale, presents a bronze sculpture that exemplifies her ongoing interest in the human condition and the natural world. 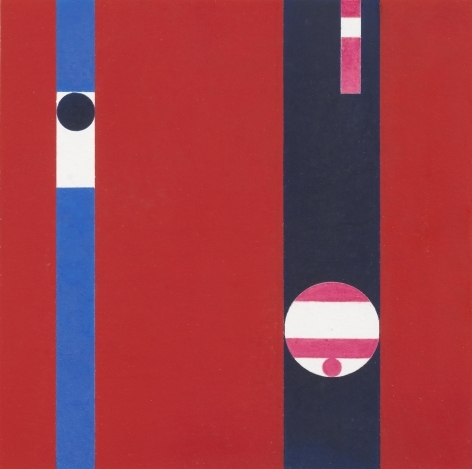 Works by Cildo Meireles, Hélio Oiticica, and Krzysztof Wodiczko further manifest practices that engage with political and social conditions. 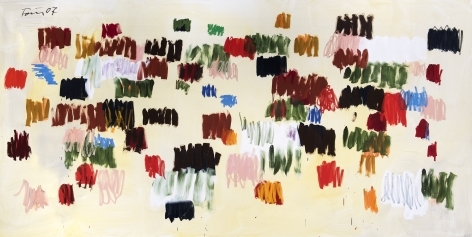 The gallery’s booth will also include multi-formatted paintings from a diverse group of artists. Works from Carolee Schneemann, the recipient of the 2017 Golden Lion for Lifetime Achievement, will be on view with a selection from her painted collage series, Caged Cats (2005). 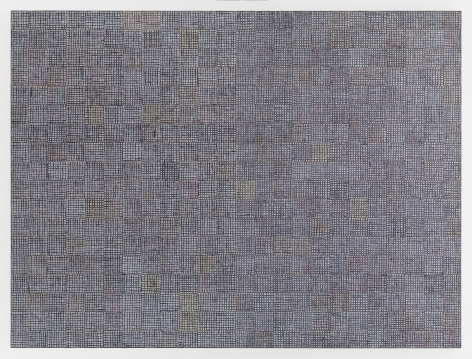 Paintings by McArthur Binion and Zilia Sánchez, both included in Viva Arte Viva at this year’s Venice Biennale, explore the artists’ unique visual vocabularies, which have come to international recognition in recent years. 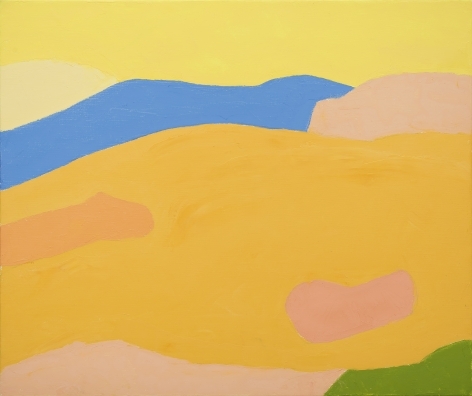 Historical and recent works by contemporary masters including Etel Adnan, Günther Förg, David Hockney, Jannis Kounellis, Sean Scully, and Antoni Tàpies will also be on view. 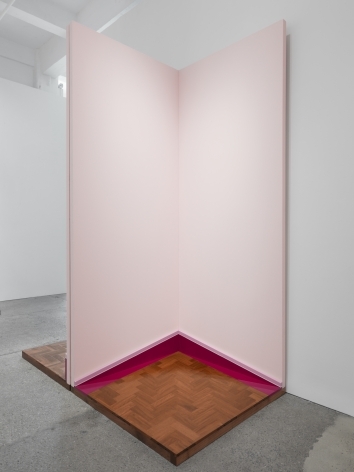 Included in the Art Unlimited Sector are works by Cildo Meireles and Krzysztof Wodiczko, which directly respond to contemporary American sociopolitical concerns. 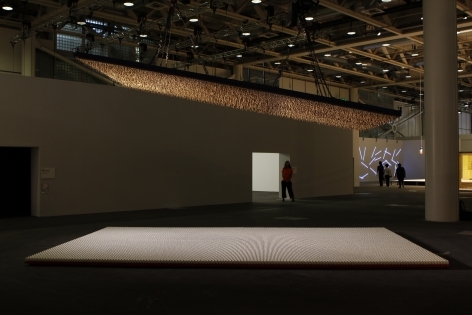 Cildo Meireles will present the large-scale installation Amerikkka (1991/2013) that deals with the threat of white supremacy and race relations in the U.S. 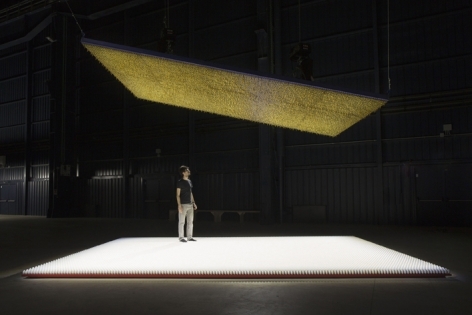 The viewer is invited to step onto a horizontal platform comprised of 20,000 white eggshells while a free-standing ceiling of 40,000 golden bullets looms overhead, an uncertain and unsettled environment that calls into question whether the work is opening or closing, and if the threat of the bullets is real or perceived. 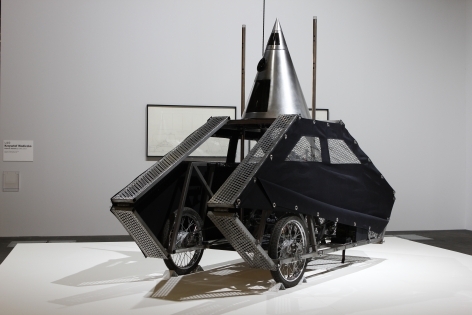 Krzysztof Wodiczko will unveil a new rendition of Poliscar (1991/2017), a vehicle envisioned to enable the political presence of the homeless population in public spaces. 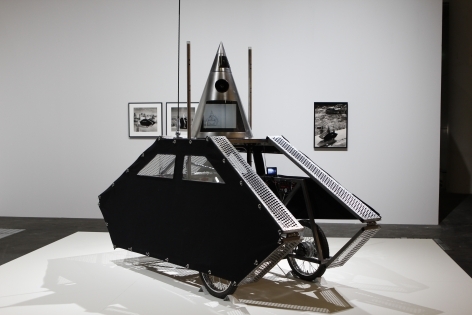 Equipped to broadcast radio transmissions and convert into sleeping quarters, Poliscar is what Wodiczko terms an “interrogative design,” an artform that questions the very society that renders it necessary. Two films by Ana Mendieta will be included in Art Basel’s Film Sector, titled “Earth Tales: The Politics of Soil,” curated by Maxa Zoller. 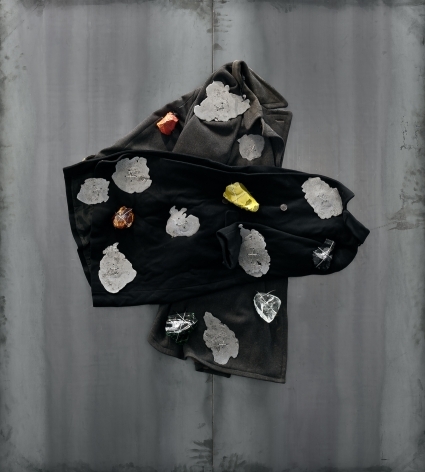 Mendieta’s moving image works have received increasing recognition in recent years as a vital component of her interdisciplinary practice.